Looking for a new Bluetooth adapter for your PC? There’s a wide variety of these devices available today intended for different purposes, ranging from connecting a set of headphones to linking a smartphone to a PC using NFC. In this guide, we’ll cover what bluetooth adapters essentially are, how they work, and things to look for when shopping. We’ve also sifted through the chaff to find the TOP 5 Best Bluetooth Adapters for PCs available in 2018. 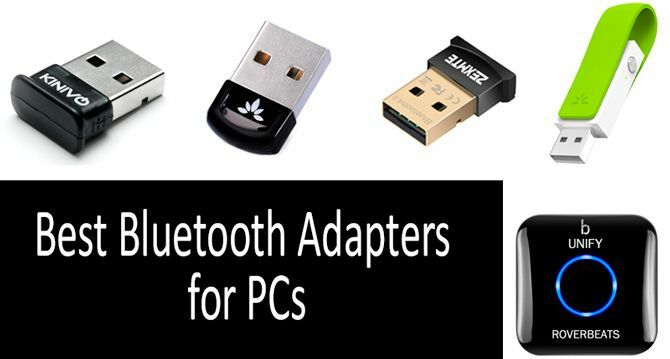 Adding wireless peripherals has become inexpensive and convenient, but it often requires you to purchase a more powerful Bluetooth adapter than the one built into most laptops or computers. If you need to connect devices from further away than 30 feet or devices that need more bandwidth, buying a third-party Bluetooth adapter is a solution. It’s also possible to find adapters that convert wired devices like speakers to Bluetooth peripherals. What is a Bluetooth Adapter? Sometimes also called a “dongle,” a Bluetooth adapter is any device designed to connect to a PC, laptop, or mobile device and provide a Bluetooth connection service. Bluetooth adapters are often small USB plug-and-play devices with nothing more than an antenna for transmitting and receiving data and a few Bluetooth chips. Others are larger devices that sit on a desktop to provide connections to devices that aren’t wireless or give a boost to a connection’s range. Bluetooth adapters aren’t as complex as they might seem, but there are a few features and considerations you should keep in mind when shopping for one. It isn’t just a matter of finding the best price if you’ll need better performance. Below is a list of the major factors to look at when comparing adapters. Intended use: Bluetooth adapters are not always able to provide a good connection to every type of Bluetooth peripheral. Some are intended for low bandwidth devices like computer mice and keyboards but won’t be able to provide a proper connection for wireless speakers. Check an adapter’s intended use before making a purchase. Maximum range: These adapters also have different effective ranges. If you need a connection's range to go beyond 30 feet, pay attention to the maximum range when comparing adapters. Most will have 30-foot ranges, but some reach as far as 60 feet. Bluetooth version: Bluetooth 4.0 is the standard most devices support, but a Bluetooth 3.0 adapter will work fine if you don’t need to worry about high bandwidth or battery life. Otherwise, stick to Bluetooth 4.0. It’s more efficient and supports faster transfer rates. Other added features: There’s a few other extras that separate some adapters from the pack. NFC compatibility is useful if you want to connect a computer to a smartphone. Automatic pairing mode is another nice feature that makes using Bluetooth devices more intuitive by eliminating the need to manually pair them. Now let’s look at some of the TOP options of bluetooth adapters for PCs and their features. Avantree Leaf Long Range Bluetooth Adapter provides a high-performance Bluetooth connection that’s designed for headphones and speakers. The Leaf is compatible with Windows, Mac OS, Linux, and PS4 consoles, and it features driver-free plug-and-play installation. Keep in mind, though, that it’s not designed for use with non-audio peripherals like keyboards or game controllers. Avantree pulls out the stops to make using wireless headphones latency-free, so you can watch movies without the video and audio being out of sync. The Leaf is also a long-range Bluetooth adapter that can reach as far as 60 feet. Avantree recommends using the Leaf with FastStream headphones for best performance. The DG40S is a multi-purpose Bluetooth adapter from Avantree that can be used with PCs, laptops, tablets, and smartphones. It’s only compatible with Windows XP/Vista/7/8/10, and it’s designed to upgrade computers without a built-in Bluetooth capability. The full range of supported peripherals includes projectors, game controllers, keyboards, computer mice, and printers, but you may need special drivers for some game controllers. It’s not compatible with the Xbox One or Nintendo consoles. The DG40S comes with an installation CD for older versions of Windows, but Windows 8 and 10 will automatically install the drivers needed when you plug the dongle into a USB port. Overall, it’s a good multi-use adapter for computers that lack Bluetooth connectivity. If you need a basic, multi-use Bluetooth adapter for a Windows computer at an affordable price, ZEXMTE’s Bluetooth USB Adapter is definitely a good choice. It can connect to various wireless peripherals like keyboards, printers, speakers, headsets, or mice, and it’s compatible for Windows XP/Vista/7/8/10. It isn’t compatible with Mac OS, nor will it work with TVs or car stereos. It can support transfer speeds up to 3 Mbps with a 30-foot range. Like many other Bluetooth 4.0 dongles, you don’t need to worry about installing drivers on Windows 8 or 10 computers, but an installation disc is included if you have an older machine. Kinivo’s BTD-400 is a Bluetooth 4.0 USB dongle that’s compatible with Windows XP/Vista/7/8.1/10, making it a good choice if you have a legacy Windows computer or laptop. The BTD-400 implements the Bluetooth Low Energy protocol to maximize battery life, which makes it efficient as an adapter for battery-powered computers like laptops or Raspberry Pis. It also has a standard range of 30 feet, which is more than enough for most computer peripherals like speakers, keyboards, or game controllers. Kinivo includes a manual and installation CD, but it’s also possible to download the latest drivers from their website. They also provide a two-year warranty with each purchase. Etekcity Bluetooth 4.0 Audio Adapter is a little different from the other Bluetooth adapters we’ve reviewed so far. It’s a separate device that connects a traditional, wired speaker system to Bluetooth-capable devices like computers, smartphones, and tablets. This gives you the ability to convert your computer or mobile device into a stereo system. The adapter feature NFC capability that supports quick connections with many smartphones by simply touching the adapter with a phone. While this adapter is larger than most dongles, it’s still portable at only 2-inches by 2-inches square. It is battery-powered and lasts up to ten hours before needing a recharge. What is the Bluetooth 4.0? Bluetooth 4.0 is currently the most widely adopted version of this technology. The specification was released in June 2010, and the first smartphones to support it began to appear in 2011. The most important improvement in Bluetooth 4.0 was the addition of a low power usage protocol designed to extend the battery life of mobile devices. Bluetooth 4.0 was updated to 4.1 in 2013 and 4.2 in 2014 to keep up with trends in mobile technology. Can you use more than one Bluetooth adapter? Only a single Bluetooth adapter can be enabled at a time for Bluetooth connections to work properly. You can install more than one adapter and only have one enabled at a time. You might do this when testing a new adapter or troubleshooting a connection. How do you connect a Bluetooth adapter to Windows? Most Bluetooth adapters are plug-and-play devices, meaning that they use a standard interface recognized by Windows. When you plug a USB adapter into a computer port, Windows will automatically detect it and install a driver to enable Bluetooth connectivity. See your adapter’s instructions for any special steps required by its manufacturer. If you already have a Bluetooth adapter enabled, you’ll need to disable it first. How do you connect a Bluetooth adapter to Mac OS? Mac computers often come with built-in Bluetooth connectivity, so it’s likely you’ll need to disable it to use a third-party adapter. Beyond this, you may need to go to some lengths to install another adapter and pair it with Bluetooth devices. Some Macs require you to install developer tools that include a Bluetooth Explorer program, which you can use to select which Bluetooth adapter to enable. This is a security measure introduced to prevent eavesdropping of data transmitted between a Bluetooth device and its adapter. Essentially, the two devices agree to a pattern of rapid frequency changes that appears random to an outside observer. This breaks up the data into small chunks transmitted on different frequencies and makes it nearly impossible to reassemble if it’s intercepted. What data can Bluetooth transfer? Bluetooth connections transfer any type of data that can be transmitted over a wireless connection, including multimedia streams, data transfers, peripheral device data, and more. Adapters do vary in how much bandwidth and fidelity they support, which can make them better suited to specific types of peripheral devices. What is the best Bluetooth adapter for a PC PS4 controller? Not all adapters are designed with the bandwidth needed for a game controller, so be sure to get an adapter that’s designed to work with a PS4 controller. What’s the best way to troubleshoot an unstable connection with a game controller? 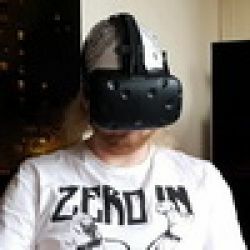 Common issues that can contribute to connection problems for game controllers are the distance the controller is from the Bluetooth adapter and local interference. Try sitting closer to the adapter and installing it on the front of your computer instead of the back when troubleshooting a poor connection. Physical obstructions are not typically a problem for Bluetooth connections, but eliminating them will help maintain a stable connection when local interference causes difficulties. What is the best Bluetooth adapter for PC headphones? There are many Bluetooth adapters designed specifically for headphones, and there are also adapters that can convert corded headphones or speakers to Bluetooth technology. The Avantree Leaf adapter is an example of a high-performance adapter specifically designed to work with headphones. That wraps up our run down of the top five Bluetooth adapters on the market in 2018. We’ve tried to choose models that represent the niches most often needed by consumers. The Avantree Leaf is a leading adapter for pairing headphones without latency. Etekcity audio adapter can make it possible to stream music to a wired sound system, and ZEXMTE’s Bluetooth adapter is one of the most affordable options for the features it provides. Bluetooth technology is certain to continue to advance as adapter manufacturers begin supporting the latest Bluetooth 5.0 specification, so stay tuned for future buying guides. We hope these Bluetooth adapters will keep your wireless needs satisfied until next time.